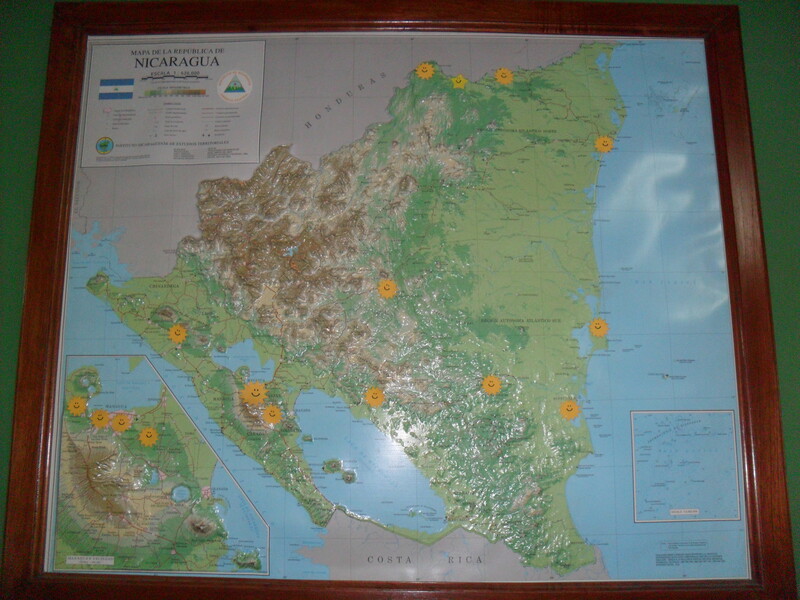 We are working in Nicaragua as freelance missionaries, meaning that we are not serving through an agency. There are many reasons for this, the primary begin that we already know who, what, how, why and where we want to serve. We believe that the local church is the best way to reach out, and Ministerio Verbo, a local church in Nicaragua, is one that we are excited to partner with. Verbo was started approximately 30 years ago in Guatemala and has quickly branched out across Central and South America. In Nicaragua, Verbo has started two orphanages, several schools and feeding centers and a Bible Institute. In addition they have planted 14 churches in 30 years (see map for details). Our desire is to find a partner that is already doing ministry effectively in Nicaragua and while there are literally tons of those ministries, Verbo’s heart for the children of Nicaragua really spoke to us and we made the decision to serve along with Verbo ministries in Nicaragua. Stateside, we are being sent out from City Bible Church in Portland, Oregon. We have been involved here since we arrived in Portland in 2009. We love City Bible and are blessed to be sent out from such a great church.